Last Wednesday I attended the first ever Natural Gas Career and Education Expo at Broome County Community College in Binghamton, NY with three Cabot coworkers – Brody Webster, Chad Gorman and Janice Lobdell. The four of us (along with the assistance of a kind gentleman who carried one of our banners from the parking lot) set up a table in the exhibitor area along with the other 40 or so companies in attendance and prepared to talk to the crowd about employment in the natural gas industry. We didn’t have to wait long – at 3 pm the doors opened to a line of New Yorkers looking to learn more about what our industry had to offer and the hall remained packed throughout the event. Everyone there was hungry for knowledge. It wasn’t just a resume drop and run – every individual I spoke with asked questions and for advice on how to get their foot in the door. The Expo also featured a series of seminars discussing the vast array of job availability in the industry, the skill set needed and the level of professionalism required. 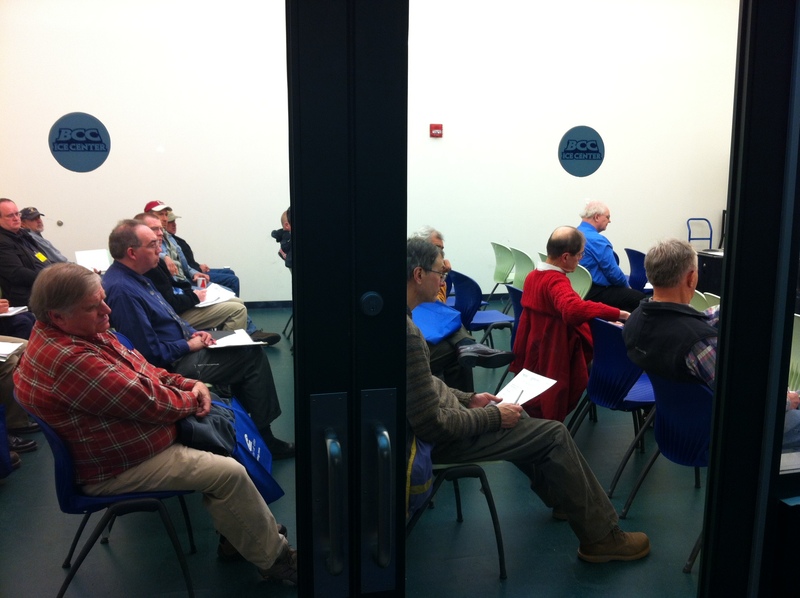 Each session was nearly full to capacity. For an overview of the whole event, you can read more and watch Channel 34’s coverage. Check out Marcellus Drilling News for a wonderful recap of the presentations – including those by our very own Janice, Brody and Chad! Until recently, the natural gas industry was a non-factor in the Binghamton area. Simply having the chance to meet with companies like Cabot, Williams and Chesapeake brought to light new employment possibilities that did not exist for these residents 20, 10 or even five years ago. 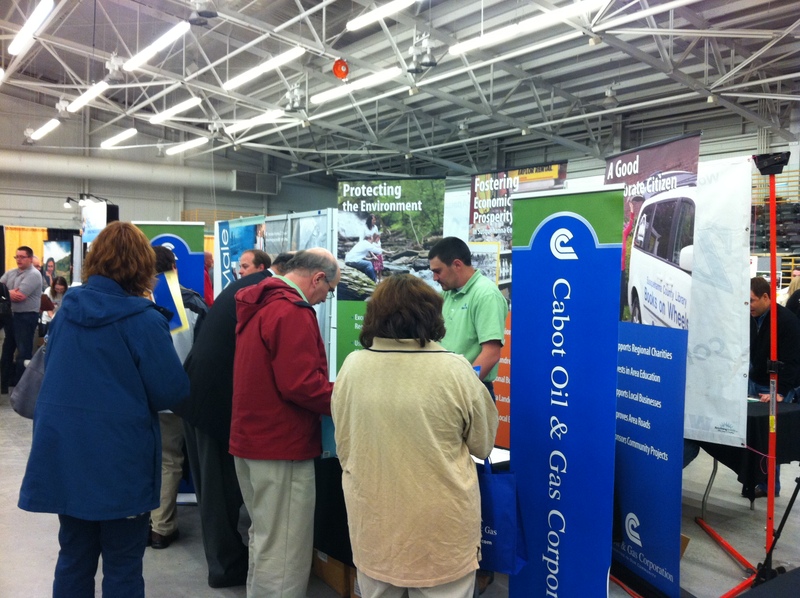 The Natural Gas Career & Education Expo was a wonderful event and I greatly enjoyed meeting the kind folks up there. I look forward to returning to the 2nd Annual Expo! If you have an interest in joining the natural gas industry, I encourage you to use online sources to your advantage. Cabot routinely posts employment opportunities on our website – and organizations like the Marcellus Shale Coalition and Energy InDepth offer great resources to help you get started on your search. Good luck!